I couldn’t wait. This is my favorite time of the year. Not only is it Black History Month but it’s also the bornday celebration month of some very cool people including my mother. In 5 more days, my mother and I will celebrate our birthdays together…..I was my mothers bornday gifts some 30 something years ago. Anyway, with all of that said, I’m going to start off my BHM postings with my all time favorite music artist….. This was the first album cover I ever saw with Dennis Brown on it. I had to be about 8 or 9, and in my father’s music room were stacks of records. I always noticed this album because Gregory Isaacs looked scary. You could hardly see his face in the shadow and he isn’t smiling. 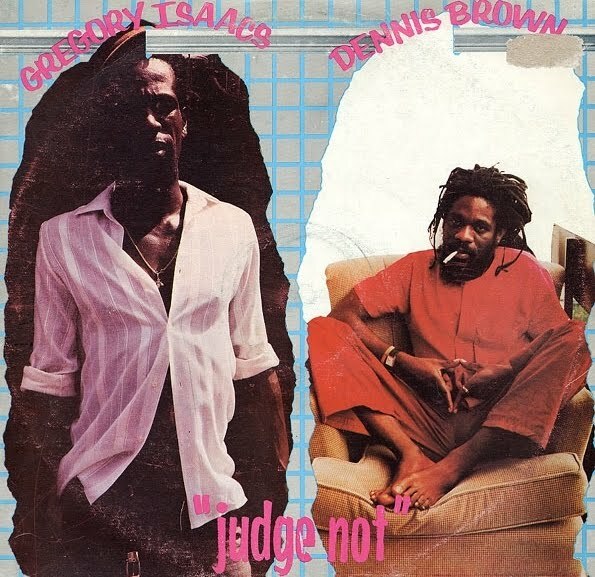 Dennis Brown though, is sitting in the chair captured my attention. At this young age, I was curious to know who these men were and what they sounded like. This album introduced me to the sultry sound of DB. 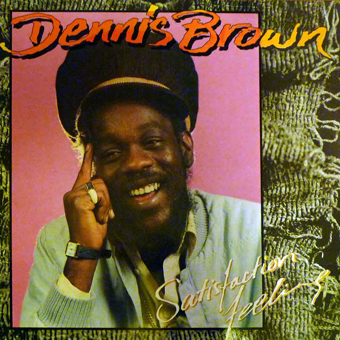 Dennis Emmanuel Brown was born February 1, 1957 in Kingston, Jamaica. He recorded his first album at about 12 or 13 titled No Man Is An Island. He is easily a renowned artist of reggae with tunes like Here I Come, Love and Hate and Money in My Pocket. But even more, he goes down in history as a musical pioneer. His music, always soulful, expressed love, righteousness, activism, history of a people, and love among fellow brethren. His music has many purposes for me. These days, Dennis Brown’s music conjures pleasant memories of days when I had decided to go natural and loc up. Who said you couldn’t be natural and still have fun? I still partied, played mas and liked hanging out with my friends. Nights at Caribbean City, Festival City and Soca Paradise would be filled with whinin and wukin up to soca all night. I mean you had to be physically feet to keep up with those dudes because if you couldn’t keep up, they’d leave you and go dance with someone else, lol. Eventually the D.J. would have to accommodate the ital crowd, and the winded whiners, with a roots segment . And everyone knows you cannot introduce the roots reggae session of the party without Here I Come, Revolution or Get Myself Together. I had the honor of seeing Dennis Brown perform perhaps one of his last shows in New York at SOB’s. He had just released his album Ready We Ready and I was lucky to have one handed to me by the honorable Dennis Brown himself. That was a most memorable performance on so many levels when I learned of his death shortly after. I was so heartbroken. With all artists, their spirit lives on by way of the masterpieces they’ve left for us to enjoy but what more is you remember how you feel when you hear a song, or who you were dancing with when that special tune comes on or the way you felt when you watched the crowned prince perform for the people.